Enjoy the top 1 famous quotes, sayings and quotations by Bob Fitzsimmons. 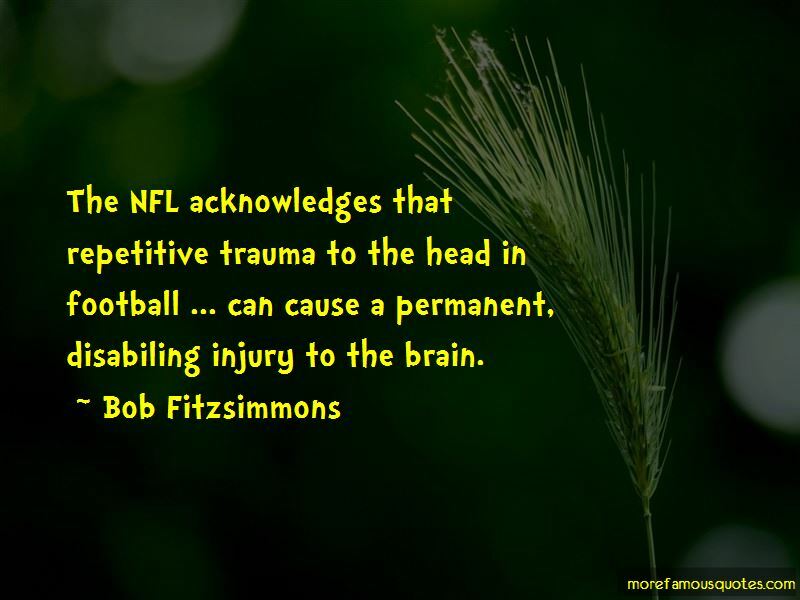 The NFL acknowledges that repetitive trauma to the head in football ... can cause a permanent, disabiling injury to the brain. Want to see more pictures of Bob Fitzsimmons quotes? Click on image of Bob Fitzsimmons quotes to view full size.